Beaten in the third round on her one previous appearance on this year’s ITTF World Junior Circuit; Germany’s Jennie Wolf, emerged as the somewhat surprise winner of the Junior Girls’ Singles event at the 2017 Italian Junior and Cadet Open in Lignano on Thursday 9th March. Safely through to the quarter-finals, it was at that stage she excelled expectations. In a full distance seven games duel, the no.10 seed and required to compete in the qualification group stage, she overcame Puerto Rico’s Adriana Diaz, the top seed (8-11, 6-11, 11-8, 11-7, 11-9, 11-13, 11-7) to cause an upset of note, before maintaining her fine form to secure the top prize. The 17 year old accounted for the Czech Republic’s Katerina Cechova, the no.20 seed, in a most impressive manner (14-12, 11-6, 11-3, 11-3), before becoming embroiled in another full distance encounter in the title deciding contest against Croatia’s Tania Plaian, the no.4 seed (11-7, 10-12, 11-9, 7-11, 11-9, 4-11, 11-7). Similarly, like Jennie Wolf, Tania Plaian had upset the order of merit; after recording a quarter-final success against Tijana Jokic, the no.6 seed (11-5, 11-4, 11-7, 11-7), she caused Serbia more pain by overcoming Izabela Lupulesku, the no.2 seed (11-9, 4-11, 11-6, 15-13, 11-9). 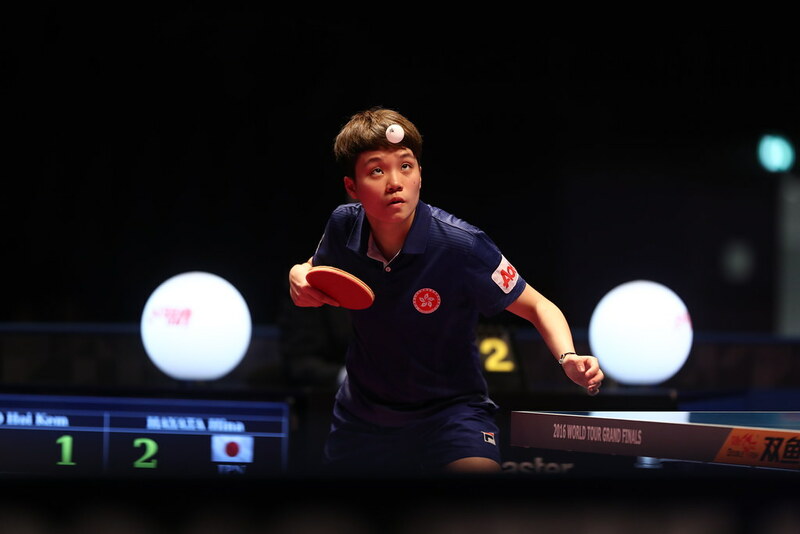 It is for Jennie Wolf, by some distance her most outstanding performance on the ITTF World Junior Circuit; her previous best was last year in Croatia when she reached the quarter-final round. Day Two at the 2017 Italian Junior and Cadet Open in LignanoDisappointment for Serbia in the Junior Girls’ Singles event but not in the Junior Girls’ Doubles, where it was gold and silver; at the final hurdle Izabela Lupulesku and Sabina Surjan, the top seeds, beat Tijana Jokic and Dragana Vignjevic, the no.3 seeds (12-10, 6-11, 11-5, 11-7) to arrest the title. Earlier in the day Izabela Lupulesku and Sabina Surjan had overcome the combination of Leili Mostafavi of France and the Thailand’s Monapsorn Saritapirak, the no.8 seeds (12-10, 11-7, 11-8), was followed victory in opposition to the Czech Republic’s Katerina Cechova and Nikita Petrovova, the no.8 seeds (11-5, 11-6, 11-3). Meanwhile, in the opposite half of the draw, Tijana Jokic and Dragana Vignjevic had beaten Hungary’s Orsolya Feher and Leonie Hartbrich, the no.6 seeds (11-8, 11-8, 11-8), prior to ending the hopes of the combination formed by the Czech Republic’s Zdena Blaskova and Romania’s Tania Plaian, the no.2 seeds (10-12, 11-7, 11-9, 11-6). The individual events completed, attention now turns to the Junior Girls’ and Cadet Girls’ Team competitions.